This is a Cross-Eyed Cricket cross stitch pattern. It is titled The Winter is Past and was designed by Vicki Hastings. It is No. 52. This design features flowers. 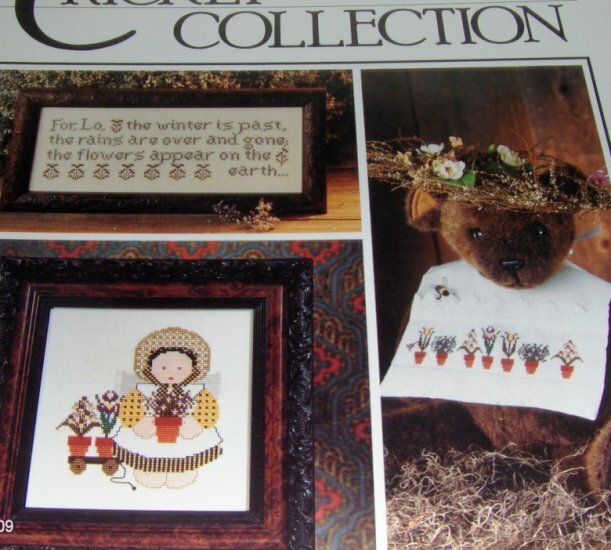 Beatrix Potter Needlepoint Designs Rita Weiss Dover Co.